People often ask me if use the iPad as a digital notepad for consecutive. For a couple of years now, the answer has been a resounding “yes”. It hasn’t always been like this, though. Initially, I didn't really have the courage to do it. Just imagine what could go wrong: empty battery, software issues (with the app in question or the entire operating system), hardware issues (water and coffee are dangerous goods, after all), distracting notifications... You get the idea. Turns out, I forgot to think about the thing that actually DID fail me (even though it was my fault): traditional pen and paper. On one consecutive assignment, I forgot my paper notepads at home and had to steal paper from a copying machine. (Note to self: Keep a paper notepad in the backpack at all times.) Second, I had brought only one pen instead of several as one should do. Now guess what happened next: After just a few minutes, the ballpoint pen was definitely out of ink. Oops! Luckily, I had my iPad Air in front of me for referencing documents. So I grabbed my stylus, fired up the Penultimate app and got going. And I survived. It was actually not as difficult, unpleasant or scary as I had imagined. The result of the pen-and-paper incident in the Penultimate app. 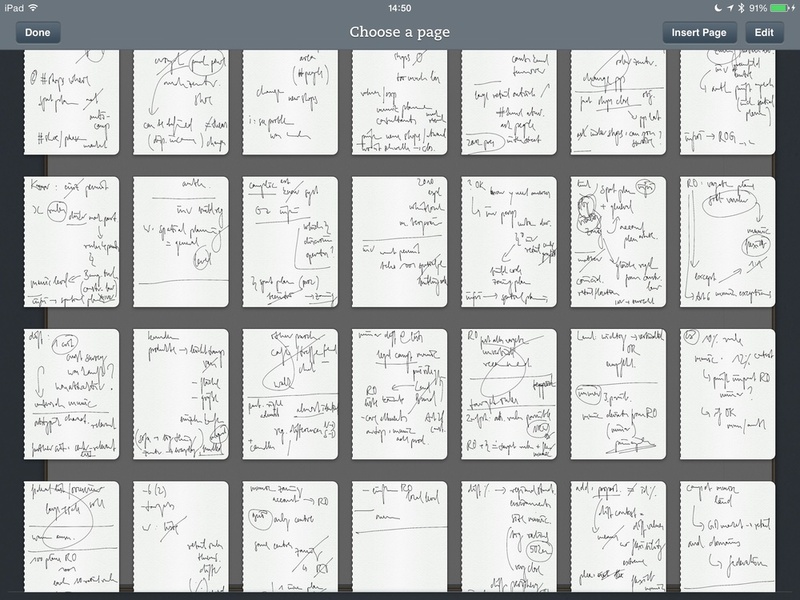 The app I used back then, Evernote’s Penultimate, was fantastic at the time: It connected to specific styluses, like the one I used, which helped reject accidental input from the wrist resting on the glass. However, it was soon left in the dust by other, better apps. As things stand now, in early 2019, Penultimate was last updated over a year ago. 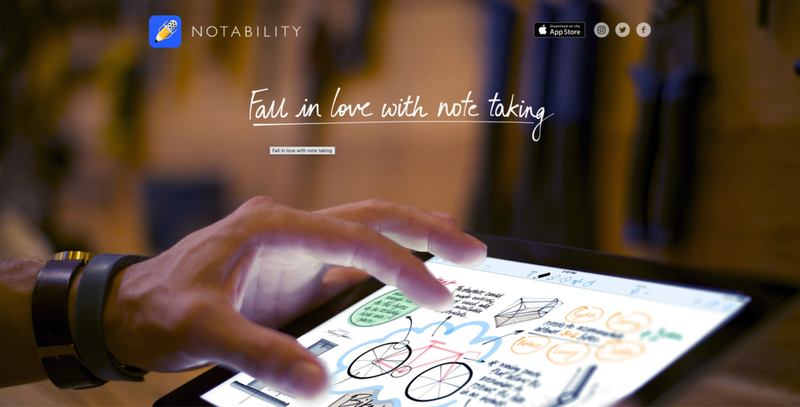 Things have moved on, and I have moved on to the excellent Notability app from Ginger Labs. It is rock-solid, works seamlessly with the Apple Pencil and just gets out of the way when I take my notes. (Bonus: It lets you record audio, too, so it can be used for taking notes in lectures or meetings and even for simultaneous consecutive.) Oh, and it also runs on your iPhone or Mac. Way back when, my stylus of choice was the Adonit Jot Script (Evernote Edition) which was top notch because it connected to the iPad via Bluetooth. It made a lot of click noise on the glass display, but it really did work well. Needless to say, once Apple released the iPad Pro and the Apple Pencil, I knew that was the way to go. A first-party stylus will always perform best because of the pairing and connection with the device and the seamless charging. To make sure you’re not getting distracted by incoming notifications or calls, you can set your iPad to Do Not Disturb. Make sure your iPad and stylus are charged. Do practice before you do this on assignment. And lastly: Don't be afraid.